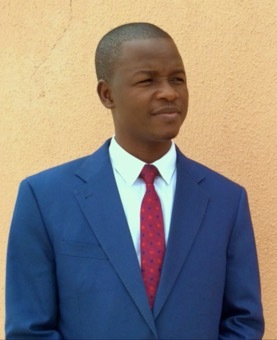 Mr. Wminpiou Gontran Walè Some has a degree in economic, social and cultural law from the Collège Universitaire Henry Dunant in Geneva, a certificate in International Criminal Law and is a graduate of the Ecole Nationale d’Administration et de Magistrature. He has participated in numerous seminars on the rights of refugees and litigation practices and is a professor at the University of Bobo-Dioulasso. 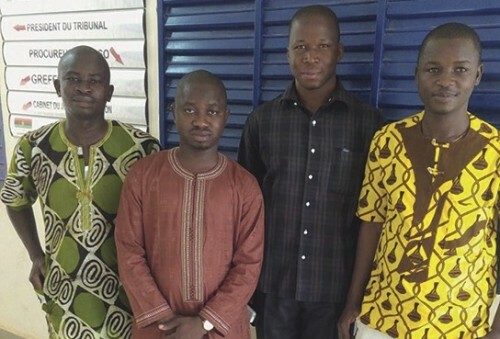 Today, Gontran is a member of the Management Council for Legal Aid Funding in the Court of Appeal in Bobo-Dioulasso and a judge at the Tribunal de Grande Instance in Bobo-Dioulasso. The challenge: Some of the central challenges Gontran is tackling is the limited application of the rule of law, the inefficiency of penitentiary and prison policies, and poor living conditions in prisons. These circumstances do not allow respect for human dignity. Thus, the objective of the project Joining by Justice is to put in place a mediation process as a basis for discussion directly after arrest and as a tool for conflict resolution. The pilot project proposed by Gontran at the correction center of Diébougou touches on four dimensions: the victim, the offender, the relationship between victim and offender, and, finally, the community. Training workshops on justice reparation and restorative mediation, combined with legal representation to 100 detainees and legal education campaigns for 150 inmates, seek to ultimately prevent torture and change the attitude of law enforcement officers to act in accordance with the law and human dignity. Reflection groups will unite offenders, law enforcement officials and victims to share common values. The police officers have to learn that a person who commits an offense will not be a criminal his or her whole life. Ultimately, such an approach aims to reduce the stigma convicts and detainees face in society and facilitate their reintegration. With proper support working towards the reconstruction of values, reconciliation and restoration, the likelihood of recidivism will be mitigated. Making legal counsel accessible for detained individuals, Gontran’s project places an emphasis on minors and juvenile justice. Together with his teammates for the project.